Doom. Any gamer who hasn't played the game doesn't deserve to be called one. It is the most legendary PC first-person shooter ever developed. Often called the father of FPSes, without it, the face of gaming would not be as we know it. Doom quickly became one of the best-selling PC games of all time. 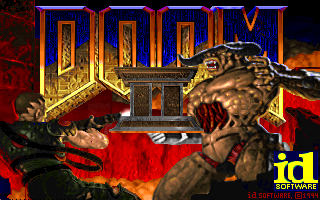 After the creation of Wolfenstein 3D, id Software broke new grounds when they released the shareware version of Doom to the public on December 10, 1993. It quickly became the number one factor of lost productivity in the workplace. Fans of games everywhere flocked to play Doom. It had the most technologically-advanced 3D engine to date, which stunned everyone when they first began playing. The free shareware version included the first episode, 9 levels in all. It was merely an enticement to purchase the whole game, which added two full new episodes. Players could wander through abandoned military bases, all the way to deep in the bowels of hell. In 1994, id built further upon the Doom legacy with the release of Doom II. Thirty-two new levels awaited players as they journeyed through hell on earth. Several new monsters would make play more difficult, but the addition of a new deadly weapon and a new powerup would ease the pain. In the end, it would take some quick thinking and fast action to defeat the final boss. In 1995, id re-released the original Doom, this time only with another brand new episode, Thy Flesh Consumed, giving the game the name The Ultimate Doom. In 1997, id released the source code to Doom. This allowed aspiring programmers to make changes in how the game played, its features, pretty much anything. New things added by source ports, as they are called, range from freelook, jumping, slopes, 3D floors, scripting, and the ability to create new weapons, monsters, and items. 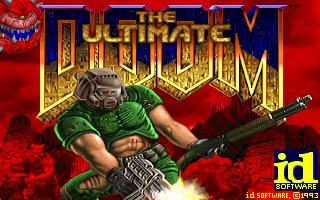 In June 2000, it was revealed that the Doom saga would continue on. After id created the three games in the successful Quake series, John Carmack, lead programmer at id Software, announced that they were creating a brand new Doom game, based on the most advanced and entirely new game engine that he would be creating. 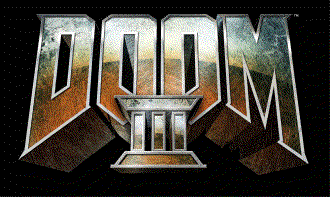 Apart from a handful of screenshots, a couple of videos, and an illegaly leaked 3-level alpha of the game, there is not a whole lot of information available about Doom III. NIN front man Trent Reznor was working with id in creating the sounds for the game, while Robert Prince was responsible for the music and sounds in the first two games. It appears Reznor is no longer working on the game, as id has already requested applications for a talented sound designer. So why do I still play Doom to this day? Because it is still one of the best games out there. None yet have overshadowed it in terms of gameplay. Sure, other games are great, but they still can't match the same experience I have while playing Doom. Also, the online community surrounding the nine-year-old game is still thriving. I used to work at Doomcenter, until I and the site owner jumped ship to Doomworld. I update news and maintain the Doom Music Remixes section there. The Doomworld forums are the discussion hub of the Internet Doom community. Download this Word document to read my entire Doomed history up until I joined Doomcenter.